When World of Warcraft first came out, it meant a lot of different things to a lot of different people. Now that WoW Classic’s been announced, that’s become a problem—one that’s forced Blizzard to step in and pry people’s figurative hands off other people’s figurative throats. The central argument centers around how much current WoW people want in their WoW Classic. 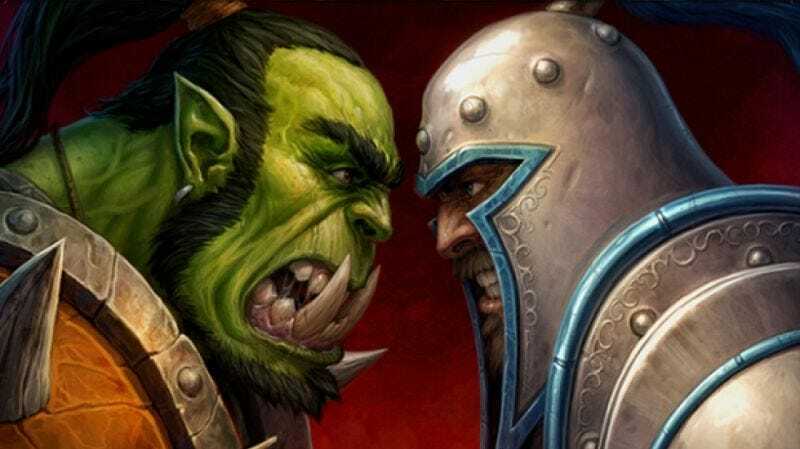 Some players are open to the idea of the game’s current balance and graphical techniques seeping into old-school WoW’s beloved but cracked foundation, while purists argue that Classic should represent the vanilla experience exactly as it was, annoyances and all, because that makes progress more rewarding in the end. Many discussions on the official WoW Classic forums have turned into heated arguments. One thread about class balancing—that is, revamping old classes to make them less specialized and more broadly capable—got locked by Blizzard after things got out of hand. As of now, Forbus wrote, it seems like the majority of potential players are against class balance, something Blizzard will be taking into account as it irons out its vision for Classic servers. Since then, however, other threads discussing the pros and cons of everything from more convenient travel options to threat management options for tanks have popped up, some more civil than others. Kotaku reached out to Vaelanor, lead GM of the unofficial WoW legacy server Light’s Hope (and, before that, Elysium, which lost most of its staffers after a major scandal), to ask why, in the days following Blizzard’s simple announcement of Classic, things have already reached a boiling point. While WoW Classic is still an undefined quantity, this situation has been revealing in one concrete way: it’s become clear that, no matter what, Blizzard’s official take on the legacy server idea, won’t be able to please everyone. Vaelanor knows this from personal experience, having made changes to popular unofficial legacy servers, only to see some players get up in burly, green orc arms. As a result, he thinks it’s possible that unofficial legacy servers like Light’s Hope will stick around even after Classic comes out. Vaelanor, though, is planning to get out of the legacy game as soon as WoW Classic launches, regardless of its quality. Right now, he just wants to see everybody be constructive, rather than combative. More craft, less war.